The boy she meets is the one she is closest to, but is also the one she can't love. A far too clumsy, secret, unrequited love. 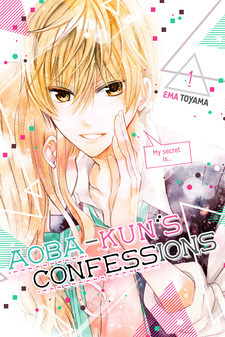 Aoba-kun ni Kikitai Koto has been published digitally in English as Aoba-kun's Confessions by Kodansha Comics USA since May 16, 2017. The story was very interesting I couldn't put my phone down and I just kept wanting to read more. I bought the last volume since I couldn't read it anywhere else because it was so engaging. I liked how the main girl seemed so meek at first but she's actually very strong and very optimistic even though the guy was being cold to her. This story is kind of different to all the manga's I've read before. The guy has a very unusual problem which is very interesting and makes you want to read more and learn why he has it. As the story unfolds you start to get a sense as to why he thinks the way he does and he end up feeling sorry for him. I especially like it when even though the guy has completely given up the main girl doesn't and tries to help him even if she won't get anything in return as long as he finds his passion and happiness again. Story: Very innocent and pure and at times very comedic, especially the childish best friend and senpai. The ending was a little unexpected but cliche. I would have given this a 10/10 if it didn't have a time jump. Art: Art is so important to me because if the drawing isn't good then no matter how good the story is I just can't find myself to be interested in it. I've always loved Ema Toyama's work. So I'm quite pleased. Character: I love the main girl, she's just so adorable and cute I love her. She has a quiet voice like I do and only finds the courage to speak up before she realizes it because of the courage the boy and the people around her. The main guy is also very interesting with an unusual problem and pitiful backstory. The guy's best friend is also very interesting and I like him the most because he says the most unexpected things to the girl out of nowhere and with people around. It's so endearing. Enjoyment: I loved the story. Loved the characters. Love it! Overall: 9/10 So close to pushing the 10/10. 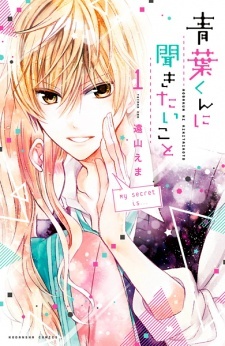 EDIT: IN THE TIME OF WRITING THIS REVIEW, I HAD READ ONLY THE ONES TRANSLATED IN ENGLISH, BUT AS THERE WERE MORE AND MORE CHAPTERS COMING OUT, I HAD STARTED DISLIKING AOBA AS A CHARACTER. THIS STORY WAS EXTREMELY FLAWED, BUT I'M TOO LAZY TO EDIT THE WHOLE THING SO JUST BARE WITH ME, I NEED TO SAY THAT, OVERALL, I LOWERED IT TO A 7 IN SCORE. I truly love this pure story. I don’t know how to describe this, but this story is truly pure. The story is simple, yet engaging. I really love it. I suggest you read this story. Art 10/10: the author’s art is BEAUTIFUL. omg. She doesn’t use bubbles or flowers every time the ship is next to each other like some other anime/manga. She may use them every once and while but in the right times. Characters 9/10: I couldn’t decide for what the rating should be, but I chose 8.5. The characters have their totally different personalities, as usual. There’s the flirt, the plain and quiet girl, the boyish girl, the one with a dark secret, the shortie, and many others. But the different characters are pretty much needed to make this story enjoyable. That’s the main reason why I didn’t know if I should rate it a 8 or 9, but I’m leaning towards the 9. Enjoyment 10/10: the factors in story, art, and characters create an overall relaxing story. It’s a nice story if you want a relaxing, pure, slow romance. Overall 9/10: I suggest you read this soothing story. It has bits of comedy and it’s truly a wonderful story that’s pure.